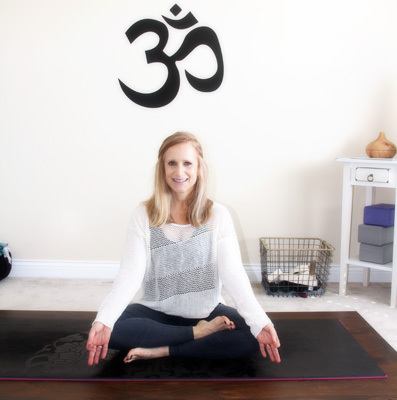 Hi, I’m Jill, the writer, photographer, food stylist, recipe creator and blogger behind Jill Conyers | Fitness Health and Happiness and owner of Yoga with Jill | Body and Mind. I’m a psychologist, National Academy of Sports Medicine Certified Personal Trainer and RYT 200 Yoga Instructor who is passionate about whole living, finding balance and empowering others to be their healthiest happiest selves. I grew up in Pensacola, Florida and spent most of my teen years in New Orleans, LA. I am terrified of dogs no matter how small and I love dark chocolate, fall weather, early morning, chips and salsa, and coffee. I have a B.S. in Psychology, M.S. in Special Education and a M.S. in School Psychology. I work full time as a psychologist in a school of 1000+ junior high and high school students. My husband, Chad, and I met when I was an undergraduate and he was in flight school as a Marine Corp officer at Naval Air Station Pensacola. It felt “right” from the beginning and I knew I didn’t want “us” to end. We got married July of 1993. I truly believe our meeting was fate. He is my soul mate and he made me believe (and trust) in forever. How can you not love a man that agrees to go to step aerobics with his girlfriend. Being a mom is my priority and my proudest accomplishment. Watching my children grow up comes with such a vast array of emotions, not the least of which is pride. My compassionate-tree-hugging-computer-guru-and-engineering student of a son and my funny-determined-never-give-up-brilliant-kind-and-[one day] psychologist daughter are going to change the world in the most magnificent of ways. My dream job is to combine my profession and background in psychology with my passion for health and fitness as a personal trainer, bootcamp instructor and yoga teacher. My current fitness regimen is a combination of cardio, yoga and strength training 5-6 days a week in my home gym and at a yoga studio. I have run more than 40 half marathons, 2 full marathons, 4 ultras and 3 ultra relays on a 2-person team. I dream of running a 50 mile race, being a member of a Ragnar team, and crushing a sub-2:00 half marathon goal. My vision is to create a healthier world one person, one bootcamp, and one recipe at a time. All that starts with YOU. I want to inspire and motivate YOU to be the best YOU you can be and feel amazing! I want to enable and guide you with support, tools and resources to nourish your body, move with energy and love yourself. There was a time when I would have started this with saying I’m a vegan, or I’m gluten free or whatever. After finding myself on a destructive path that lead me to an eating disorder I have ditched the labels. My diet is no longer part of my identity. What matters more than a term, an identity, or a definition, is how you truly live your life and the food choices you make. Extremely restrictive diets and deprivation no longer exist in my life, and I’m so much happier for it. I have eliminated gluten from my diet, but not so much as a restrictive choice. It’s a choice for better health. I [no longer] believe in restrictive eating or fad diets. There is no long lasting quick fix. I do believe in listening to my body and nourishing naturally. I believe in eating seasonally, local produce when available, and at the core, living in a way where we’re mindful of the connection between the source of our food and the nourishment it provides our body and mind. Food can heal or hurt us and it’s up to us to choose which path to follow. We need to nourish our bodies with healthy, real, wholesome foods to function healthily and to live life with passion and energy. I believe in dreaming big, living passionately by design and being the best that I can be. From sun salutations and green smoothie recipes, to protein pancakes and HIIT workouts, I’m sharing my personal journey to make active living a part of everyday life and to inspire others in the process. As a certified personal trainer, I use the latest scientific evidence to develop personalized fitness plans to help you reach your goals. There is no one size fits all approach and I’m here to help you find the “one size” that fits YOU. Every training plan is individualized around your life – family, work, stress, emotions, fitness level, likes and dislikes. I will provide you with expert fitness advice, tools and information to make active living enjoyable and a life long habit. I would love to help YOU make permanent changes to live a healthier more active life. I want to guide and empower you to take control of your health and your life and feel amazing! Contact me at jillconyers@gmail.com or via the Contact tab in the menu bar above and start living your healthiest and happiest life! Let go of what you think should happen and open up to a world of possibility.